Our work for The Bartlett, one of UCL’s constituent faculties, was a PHP based intranet to facilitate staff and student marketing campaigns. 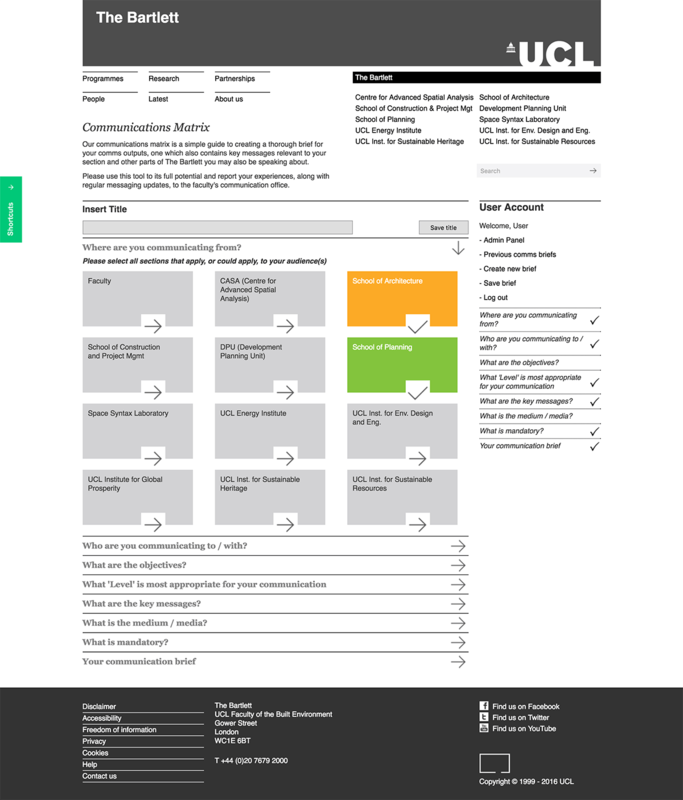 The 'Communications Matrix' requests information from the user through a step by step interface and upon completion; grants access to an archive of useful media and posters, and dynamically generates a Bartlett branded PDF document detailing the best way to communicate with their chosen target audience. Administrators are able to manage user accounts, matrix options, school information, and media. Media uploads are made easy with the availability of a drag and drop interface.